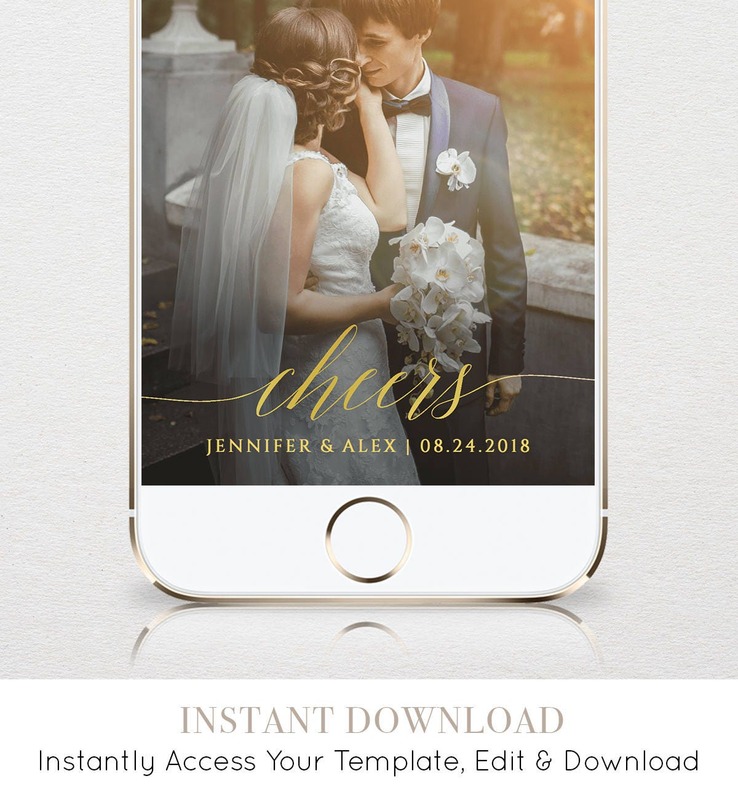 This listing is an "INSTANT DOWNLOAD" that includes a "Cheers" SnapChat Geofilter template. A simple way to make your wedding day even more memorable and unique. 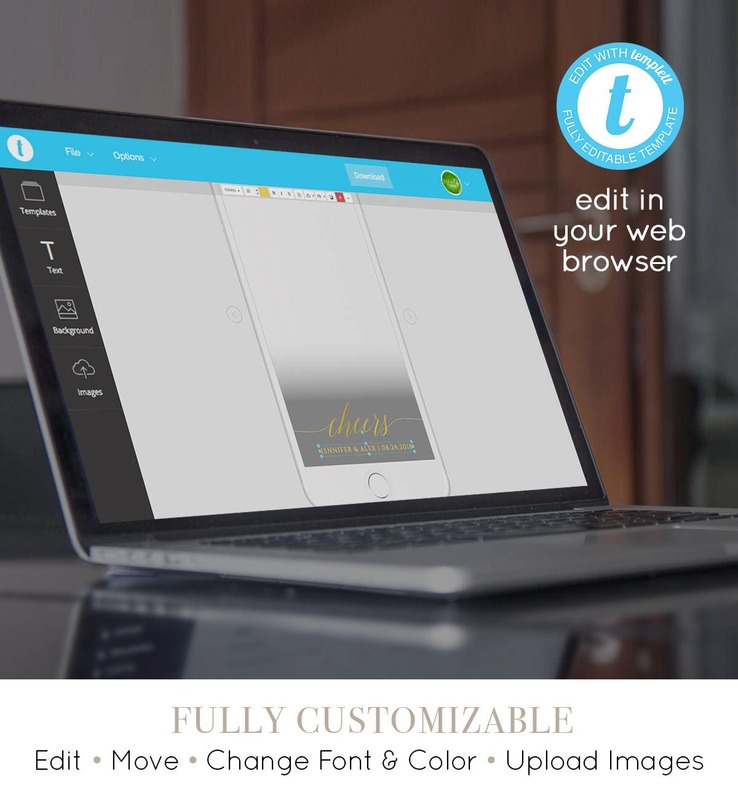 • The text "cheers" can only be edited for placement and size. 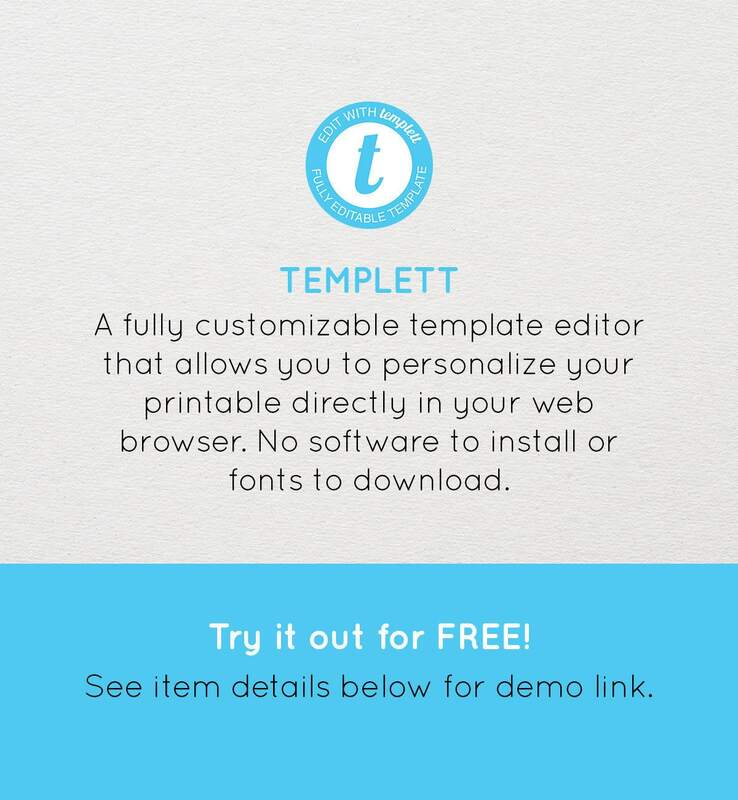 The color and wording is NOT editable. After having some issues uploading this geofilter on my end, the seller was very responsive and even went to the lengths of paying for it to be uploaded herself to make sure there was no mistake on her end! I finally uploaded the geofilter myself and I cannot wait for my guests to use it at my wedding! Thank Angela!